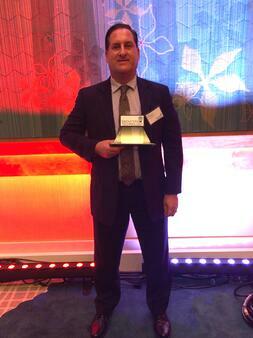 Mark is Senior Vice President/Director of Business Technology and Data Management for Seacoast Bank and was recognized as part of the publication's annual Innovations in Technology Awards held on October 26, 2017. Mark realized that Seacoast needed a better mechanism to help manage the bank's growing data needs. He launched a data foundation for the bank that allows it to quickly bring information together from multiple sources. The resulting platform offers insights that otherwise wouldn't have been previously possible. It provides access to an interactive, web-based reporting system that is often updated in near real time enabling the ability to easily hone in on what’s important. Please join us in again congratulating Mark on this proud accomplishment!